This VCR Head Cleaner looks like a regular VHS Cassette tape. 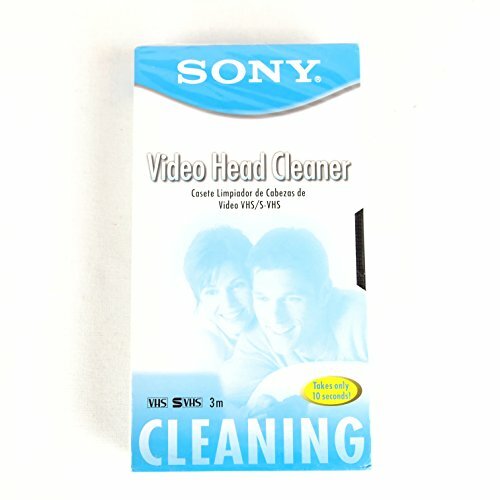 Use this cleaning cassette when the vcr picture is distorted. Load the cleaning cassette as you would a regular VHS/SVHS cassette. Press the play button, after 10 seconds press the STOP button and eject the cassette. Remove the cassette without rewinding it. Replace the cleaning cassette after 50 cleanings.